Welcome to the DC Storytelling System, designed by the Playful Cities group at the AU School of Communication. CURRENT INSTALLATION (through 2020): Our system links a Smithsonian exhibit to five DC public libraries and a storytelling truck. 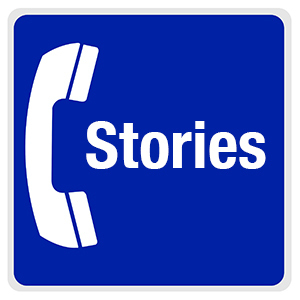 Residents can call in with their own phones (no app required), receive historic photographs by text message, and record their own stories. To amplify neighborhood events, our tactics range from paper maps that trigger audio content to a repurposed payphone for story collection. OUR VISION: Rather than simply put “more content online,” our goal is to connect physical streets to mediated stories. Strong places have the ability to tell their own story — including in public space. Increasingly, digital media is part of public space and community life, but cities need tactics that emphasize equity and amplify in-person organizing. April, 2018: Our first re-purposed payphone was featured in the Smithsonian’s “A Right to the City” exhibit at the Anacostia Community Museum, on view April 2018-2020. Over the next several years the hotline will gather new voices and evolve, including to distribute multimedia from residents and exhibit partners. October, 2018: Our Humanities Truck made a first appearance at Adams Morgan Day, including a neighborhood history map tied to our storytelling hotline. March, 2019: Five branch libraries in the DC Public Library system opened satellite exhibits featuring the storytelling system, as part of a collaboration with the Smithsonian Anacostia Community Museum. Conceptually, our system investigates a more ecological approach to circulating stories that strengthen our sense of place, community and civic life. Drawing on Communication Infrastructure Theory, our approach is to explicitly bridge neighborhood institutions, resident networks, and local media. The voices from this project come from the community, and institutions ranging from the Smithsonian Anacostia Community Museum to the DC Public Library. 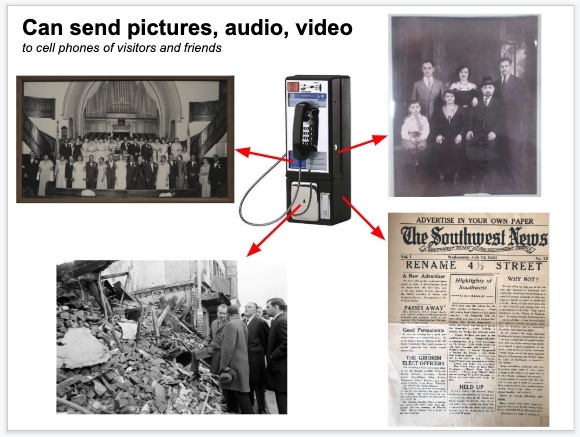 This is a project of the School of Communication at American University, as part of a collaboration with the Leimert Phone Company, and made possibly thanks to the generous support of the Smithsonian Women’s Committee.